We are fast approaching the final phase of our reception makeover. Our new reception area will give our patients better access to our reception team in a modern, calm environment. When the reception makeover is complete we will be launching the UltraDEX, performance, oral care range. Developed, used and recommended by dental care professionals and backed by extensive scientific research the UltraDEX range bridges the gap between professional and home care and delivers 12 hours of fresh breath confidence. UltraDEX protects teeth and gums, restores natural whiteness and eliminates bad breath, instantly. Last, but by no means least, we are very proud to announce that we are now a Certified Clinic for the Megagen Implant System. 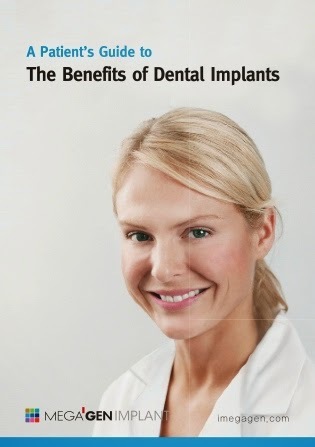 Dental implants look and feel so natural, you will forget you ever lost a tooth. We have been placing implants at Longborough since 2007 with great results. And for people with loose or ill fitting dentures we can offer a stable solution ‘implant retained dentures.’ Even steak will be back on the menu! or for more information download the Megagen Implant System Brochure.